Roadside Clean-up Crew of One! 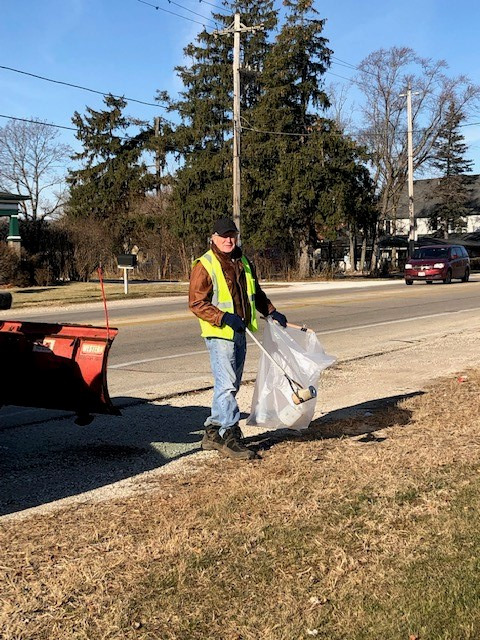 While Rotarians enjoyed the November off from road clean-up, Dan Gannon and Sandy Custer were driving up and down Green Bay Road filling 3 bags of trash. Not pictured, Sandy Custer driving the warm car and reminding Dan to close the door every time he got out to pick up another piece of trash. Thanks Dan, we all owe you one.